exhibition history: TOM. Mathews Exhibition. 1972. TOM. Mathews Exhibition. 1985. TOM. California Artists: A Group Portrait in Mixed Media. 1987-1988. This is an oil painting on wood panel that shows a self-portrait by Lucia K. Mathews. 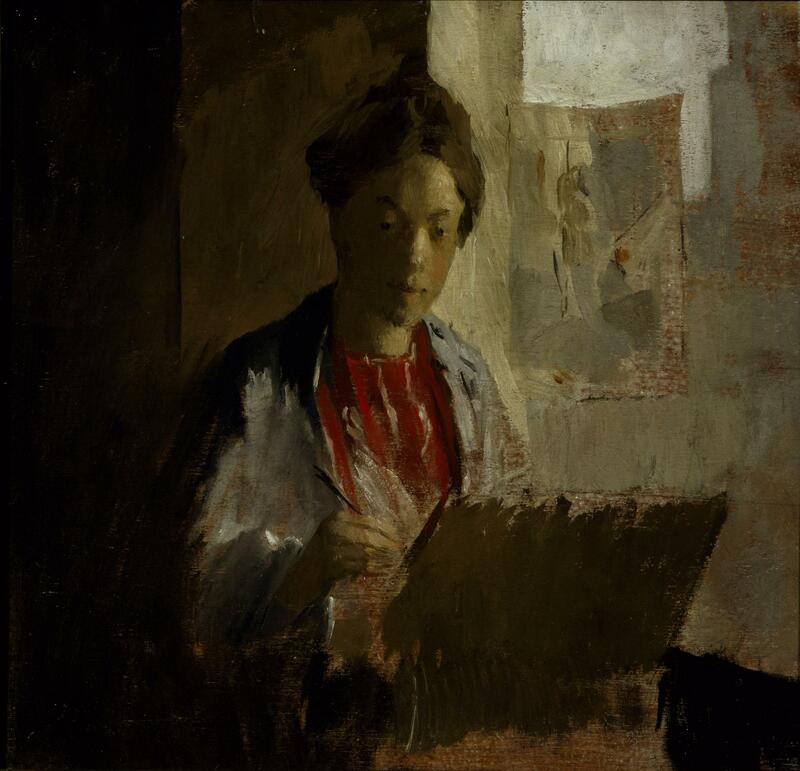 "Lucia's 'Self-Portrait' probably dating from 1899 in Paris and her only known example, is a boldly executed study in chiaroscuro. Seated, she is wearing a silk kimono, and the right side of her face emerges from the dark background, her likeness revealed in the warm contrasting light from an adjacent window as she applies her brush to the wooden panel before her" (The Art of Arthur and Lucia Mathews, p172).